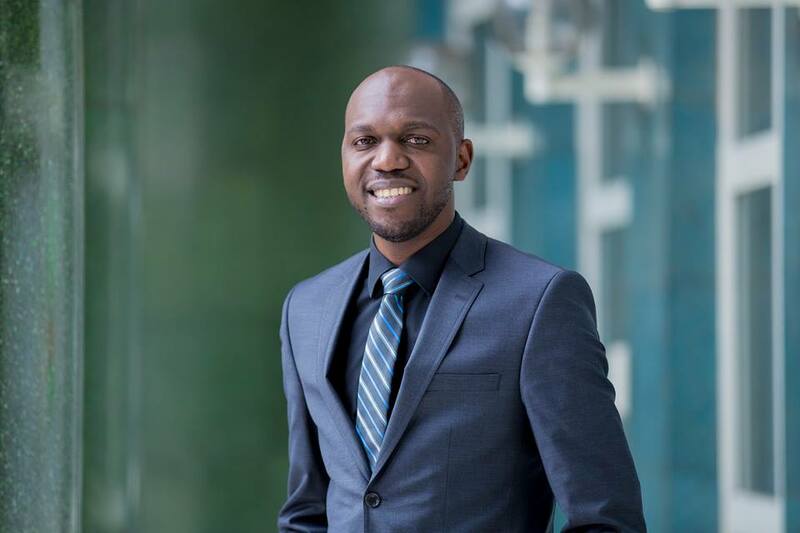 Larry Madowo is Online and Technology Editor as well as News Anchor at NTV Kenya. He is a broadcast journalist, writer, blogger, and technology evangelist. He anchored the popular Friday night show #theTrend until 23 June 2017 and currently the host of NTV's Sidebar show where he holds a panel discussion with politicians and analysts to break down Kenyan politics. He started his television career at KTN as a Trainee Reporter. While at the station, he launched and anchored Kenya’s first daytime business programme KTN Financial Markets Live as well as KTN Business Today. He regularly anchored breaking news and reported live from major stories on numerous occasions. His last major assignment at KTN was anchoring the station’s coverage of the 2010 referendum from the IIEC’s Bomas of Kenya national tallying centre. He also pioneered the use of social media on Kenyan television and was responsible for the formation of the KTN Kenya Facebook and Twitter pages before any other media house in the country had a social media presence. He joined NTV Kenya in October 2010 as a Business Anchor and Reporter, launching the critically acclaimed PM Live and hosting the weekly magazine show Money Matters. Most recently, Larry became the first ever non-South African anchor to be based in CNBC Africa’s Johannesburg headquarters where he hosted live market shows Open Exchange, Power Lunch and Closing Bell. Larry also produced and presented the weekly show Eye on Kenya and hosted several CNBC Africa events and awards ceremonies. Larry has travelled to and reported from nearly 30 countries in 5 continents on such wide-ranging stories from manufacturing in China, Silicon Valley’s technology credentials in the US and tourism in Ghana. He is one of the most recognizable faces in Kenyan media and is regularly called upon to host and moderate high profile events in the country and abroad. He writes a blog at larrymadowo.co.ke and was the first African journalist with a verified Twitter page @LarryMadowo, where he has over 1 Million followers.